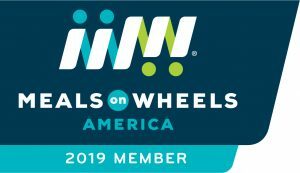 Enjoy a closer connection with Meals On Wheels Delaware as a member of our Legacy Builders Society. Many of our elderly neighbors are eagerly waiting for a lunchtime knock on their door. They know behind the knock and cheerful greeting of “Meals On Wheels” is someone who oftentimes becomes a trusted friend carrying a meal they can depend on. We, at Meals On Wheels Delaware, are proud of our part in the tradition of caring for those who have given much and are in need of a helping hand in their later years. Since our formal charter in 1996, we have focused on ensuring these men and women can continue to feel secure about their next meal. As someone who is passionate about the continued well-being of all seniors, we ask you to join our Legacy Builders Society. 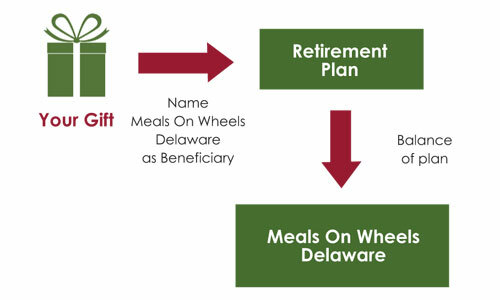 Including Meals On Wheels Delaware as a beneficiary of your will, trust, life insurance policy or retirement plan ensures that those you care for now will continue to be in good hands in the future. Choosing the right gift brings the comfort of knowing it fits your budget and peace of mind that you can adapt to changing circumstances if necessary. Also called a bequest, you can give a fixed amount or percentage of your estate to Meals On Wheels Delaware by including language similar to example below. I hereby give, devise and bequeath to Meal on Wheels Delaware, Inc. a dollar amount (or percentage of the rest, residue and remainder of my estate) as an unrestricted gift to be used in the area of the greatest need. If you have an existing will you can easily add an amendment, called a codicil, naming Meals On Wheels Delaware as an additional beneficiary. Together, estate taxes and income taxes may substantially diminish an inheritance from a traditional IRA, 401(k) or 403(b). Donating a retirement plan to charity is tax free and can be beneficial to maximize total inheritable assets with less tax burden to heirs. 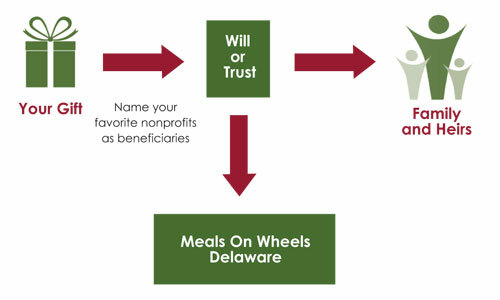 Meals On Wheels Delaware is a registered 501(c)3 non-profit organization. Our Tax ID number is 51-0355145. This webpage is for informational purposes, it is not intended to provide legal, tax, investment or other professional advice. We recommend you consult with a financial or estate planner before finalizing your donation.